I love sketching with waterbrushes in the field. They help keep my Art Toolkit simple, and I don’t have to worry about carrying traditional brushes and water containers. Still, waterbrushes can be a hassle to refill without spilling water, which I’m especially mindful of when I’m out hiking where water is scarce. My solution is to carry a small 3ml syringe to help transfer water from my water bottle to brush without losing a drop. 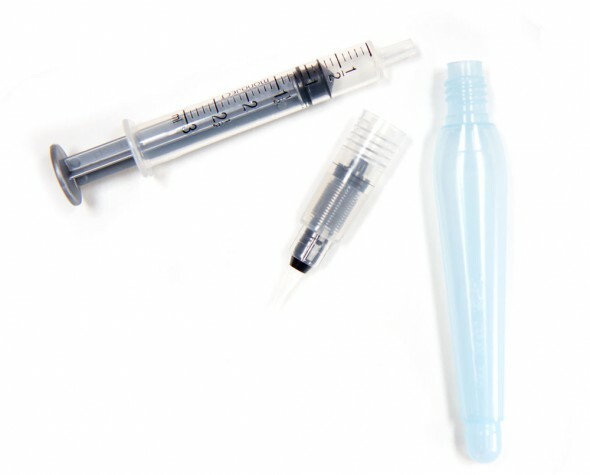 I am happy to announce that I now to offer a waterbrush refill syringe in my shop. 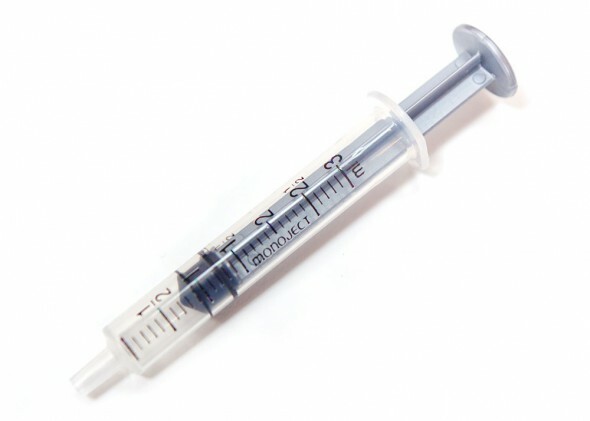 It’s approximately 3″ when closed with a 3/8″ plastic tip (no needle!) that fits perfectly in a waterbrush barrel. I keep my syringe in one of the small rear pockets of my Art Toolkit so I’ve always got it with me. I love hearing about off-beat tools to use in the field. Let me know any favorites you’ve discovered! I used a syringe to add water to my paints but switched to a spray bottle as it was more efficient. I almost threw my syringe out the other day. Thanks for sharing your tip with us. What a great way to refill my water brush in the field. I was thrilled to read about this tiny tool and doubly thrilled because I had 3 in my medicine box (left overs from my grandchildren’s meds). Have had them for years without knowing how I would use them. WOOHOO! 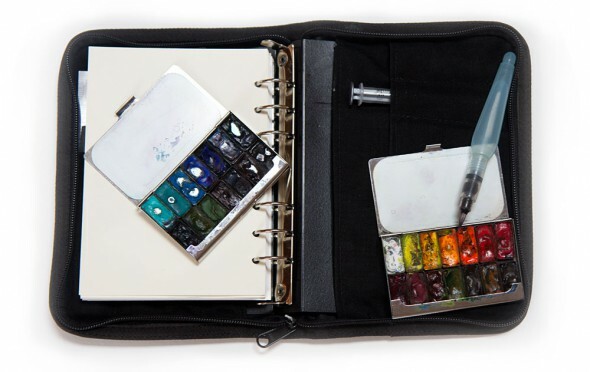 Now I have one on my art table and one in my art kit. So cool. I use one of these, along with a blunt needle, to refill my Niji water brushes. I think the Niji design offers better control compared to the Pentel Aquash version, but the Niji design has a tiny opening for the water, so using a syringe with a blunt needle to refill the water reservoir is a must. I like the oblong barrel of the Aquash which prevents them from rolling away. I agree that the Niji are trickier to fill, but they are beautiful brushes as well. The large flat Niji version is my favorite.